Unique sunny yellow flowers have pink edges and are up to 8" across. 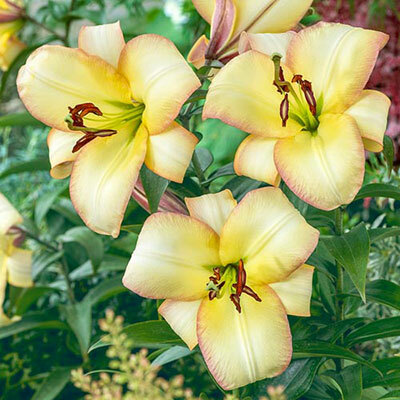 The triumphant result of a cross between Oriental and trumpet lilies, Orienpets are renowned for massive blooms and intense fragrance. 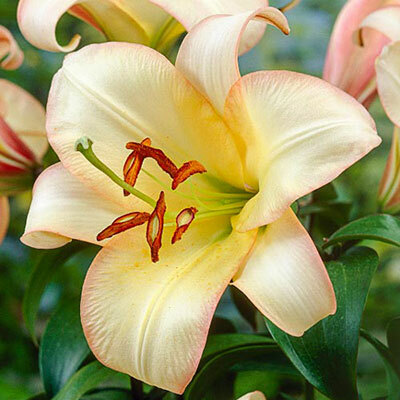 Available in an increasing variety of heights, forms and colors, these beauties have the best of each parent—scent, flower size and reliable performance.